For any educational institution, who wants to run the system smoothly and add more students to their campus, it is essential to adopt technology. With growing expectations of improved performance, higher education leaders continue to think more creatively about how their people, processes and technology can work together more efficiently. At a time when the students are technology- savvy, implementation of Enterprise Resource Planning (ERP) will bring process efficiency across the organisation and reduce chances of errors. For an educational institute which performs multiple functions like management, admissions, fees management, class management, time table management, accounting, transport, library etc. 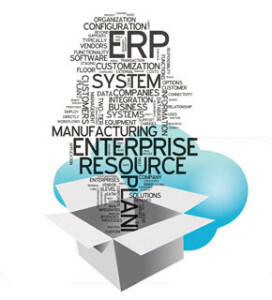 it is necessary to bring in ERP technology to be more effective and accurate in their task. Vendors of ERP believe that in order to make the system manageable and transparent, educational institutions must adopt ERP in their system. It is a complete integrated solution which has been designed to cover the in depth functionalities of any educational institute. It is also important to take the time and spend the money to educate everyone about the usage of the system and provide training to people who will operate the system. 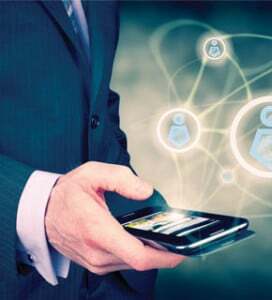 The technology is about leveraging the benefits by the people who are using it. The educational institutes today need a mechanism that can streamline their work in more efficient manner. Students no longer are hooked on to one course or engaging once with an educational institute. As the student life-cycle increases, it becomes important to have a system that allows for managing the student-institute relationship for its entire duration of study. Despite promises for improved organisation and more effective management, there are number of challenges and a high failure rate in the implementation of technology. 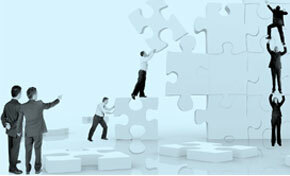 The implementation of ERP system involves high degree of complexity. The reason to the failure of the technology can be many including no interest among employees/users to learn using new technology, strategic goals are not defined, project team is not selected from the experienced employees, accuracy of data is not assured, system efficiency measures do not allow for successful changes, technical issues etc. The success of the technology depends upon varied factors as it embraces operations of an institute. Participation of management, participation of students, encouraging attitude among the employees, possibility to connect the integral information solutions with other business information systems, cooperation between advisers and employees are of key importance for any technology to flourish in a set up. The other key pain areas an educational institute should look into before deploying ERP is multitude of legacy systems, training of existing staff and internal IT resources which are the top problems. “It is very hard to move away from a system that has been used for many years-especially if the stakeholders are invested in it emotionally. Also, getting the new system implemented without having significant internal bandwidth for technology would impede the speed of implementation,” says Shreekala Kurup, COO, Crack Verbal. Use of ERP solutions is essential in a system where different users with varied roles and responsibilities have to streamline their workflow. Students, management, teachers, principal, staff, parents, alumni all the data is managed under one platform in a time sensitive manner along with the rules and policies. 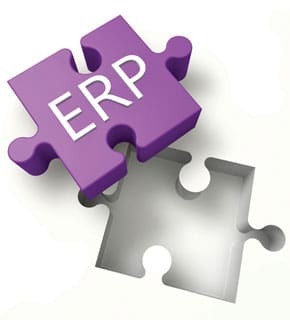 The success of the technology depends upon factors such as participation of the management, the modernization of existing business processes, possibility to connect the integral information solutions with other business information systems, cooperation between advisers and employees and educated staff to tackle the issues of ERP system at ease. “ERP solutions would make it easy for an educational institute to scale up and spend less time, money, and energy managing resources. A major chunk of bandwidth goes into processes that are offline, such as the providing of forms etc. All of this, if automated properly, would provide a seamless end-toend experience for the student,” informs Kurup. “The important trend that we are seeing and catering to is primarily on the fact that anybody can create content and anybody can conduct content. So, both the creation and conduction of contact is actually going away from the standard methods of how we have done it in the past to something that anybody has been able to create. So, our learning system caters to that. Even beyond that what is happening we have capabilities integrating with the sub-standard platforms like Coursera, learner.com etc. and corporate have started using these more and more in terms of partnership,” informs Srikanth Gopalakrishnan, Vice President-Product Management, SAP Labs. openSAP is SAP’s innovative learning platform and a thought leader for Enterprise MOOCs, focusing on key SAP technology & business innovations. openSAP offers maximum learning flexibility with compelling MOOC format and provides an engaging and effective learning experience through gamification and by connecting with fellow students and SAP experts. “Our objective is to offer huge number of courses to the learners. We are running initiatives with Universities. We believe that there is knowledge among the student community and we have a crowd sourcing platform called SAPmile and we are working with six colleges in terms of crowd sourcing, problem statement that we actually want the students to work on. We want to have crowd sourcing platform that allows students to participate in initiatives in terms of execution of certain ideas,” informs Srikanth. “An institute offering a course at a K12 level and at a graduate- level might avoid duplicating the process. Also, with various other systems going on the cloud, it is very easy to have each part of an ERP linked to other services using webhooks,” adds Kurup. To understand the process of ERP adoption, it is also essential to understand the ERP life cycle framework or process models. According to the study by Ehie and Madsen suggested five stage implementation process of ERP namely project preparation, business blueprint, realization, final preparation, Go live and support. Despite being one of the best technologies to be adopted in the education sector to improve the working of the sector, yet the adoption seems to be minimal due to high costs involved in the implementation process. “I think one of the biggest deterrents for adopting of an ERP solution has been that until now, systems were heavy and depended a lot on customization. Now with SAAS offerings and integration with other systems, the implementation times can be reduced to merely a few weeks. So in the coming years, more and more institutes will be adopting a robust ERP system,” feels Kurup.